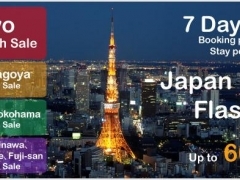 Cheap Hotel Accommodation Deals | Japan Hotels Flash Sale. 7 Days only! Japan Hotels Flash Sale. 7 Days only!